Publisher's Note: Former Hokies OL and captain Dwight Vick is here to answer your questions. 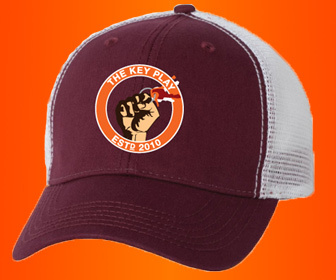 If you're a former Virginia Tech athlete or coach and want to participate in an AMA, email: sauces thekeyplay [dot] com. No. 15 Virginia Tech closed out the regular season with a resounding victory. Publisher's Note: Former Hokies whip linebacker Brenden Hill is here to answer your questions. If you're a former Virginia Tech athlete or coach and want to participate in an AMA, email: sauces thekeyplay [dot] com. Hokies lose 73-64 in Tallahassee, but all of their postseason aspirations remain in reach. Thoughts and analysis on the Virginia Tech loss, Blackshear's importance, highlighted in the worst way, and a Justin Robinson theory. The Hokies are 4.5-point underdogs at Florida State, and free throws and forced threes could dictate the outcome. 16-play, 3,200-word film analysis of Virginia Tech defensive line signees Josh Fuga, Mario Kendricks, Norell Pollard, and Jaden Cunningham. Understand their immediate strengths, areas of improvement, and potential early contributors. February 26th is an excellent day for the Hokies to play the Blue Devils in basketball. The 77-72 win over #3 Duke was the most impressive win of the Buzz Williams era at Virginia Tech. But they didn't get here by accident, and we all know it.